On this day of Nawroz, we, at the Indian Workers’ Association (Central Organising Committee) extend our solidarity to the Kurdish people who are fighting for their right to self-determination. We condemn the barbaric invasion of Afrin and other Kurdish areas by the Turkish State. We condemn the looting and ethnic cleansing of the Kurdish population in and around Afrin town being conducted by the Turkish State in deliberate collusion with the Jihadi forces such as ISIS and Al-Qaeda, subsequent to the tactical withdrawal of the YPG and YPJ. We condemn the killings of hundreds of innocent civilians including women and children by the Turkish Army and the Jihadists. We at the IWA hail the heroic resistance to the Turkish and ISIS invasion by the Kurdish people under the leadership of YPG and YPJ. We salute thousands of Kurdish martyrs, who laid down their invaluable lives for the cause of Kurdish national liberation in Syria, Turkey, Iraq and Iran. We would like to remind you all that we the IWA marched in the streets of London along with the Kurdish people in solidarity, when ISIS was attacking Kobane. There are clear indications that, after Afrin, the Turkish President Erdogan, in collusion with the Jihadists, might invade other Kurdish areas in Northern Syria, such as Manbij, Ayn al-Arab, Tel Abyad, Ras al-Ain and Qamishli. 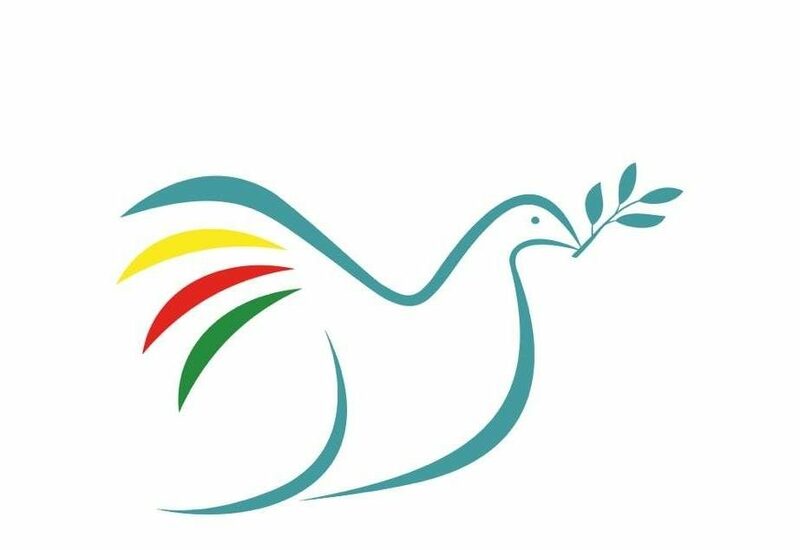 All democratic and peace loving people around the world should oppose Turkey’s aggression and campaign against any such attempts. It is clearly that all the major international powers – the US, Russia, Britain and the rest of the EU have implicitly given a ‘green-signal’ to this invasion by Turkey, which is a key NATO member. The NATO, which became instantaneously united against their imperialist rival Russia with regard to the alleged recent nerve gas attack on an ex-Russian spy in the UK, is not only tight-lipped about this military aggression and war crimes by Turkey but continues to supply lethal arms to the Turkish Army and Airforce. 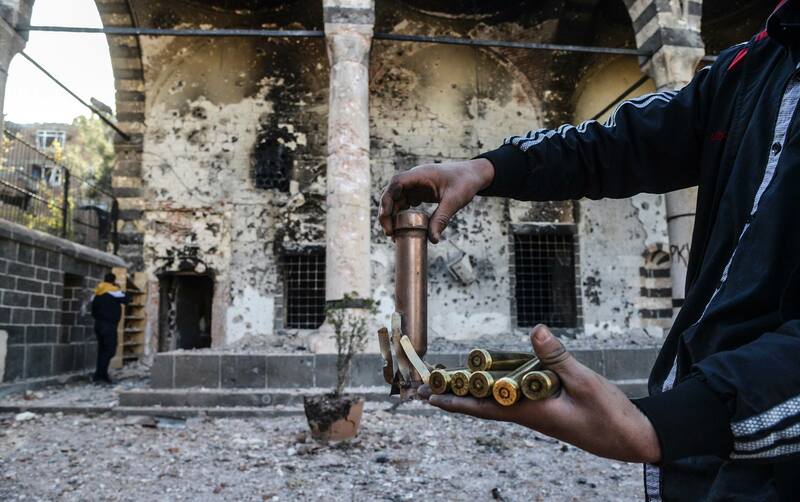 Some serious questions that arise here are: why the US, which has been claiming to be an active partner with the Kurdish resistance forces in fighting ISIS, has suddenly fallen silent about the Turkish-Jihadi invasion of the Kurdish areas in Northern Syria? Why a superpower that boasts of ‘establishing democracies’ elsewhere, is turning a blind eye to the war crimes being perpetrated by Turkey in Afrin, where hundreds of women and children are massacred and thousands made homeless by the Army and Airforce of the dictatorial Turkish regime? Why does the US keep calling Abdulla Ocalan a terrorist and the PKK a terrorist organisation, while on the other hand calling the Kurds ‘its friends’?!! 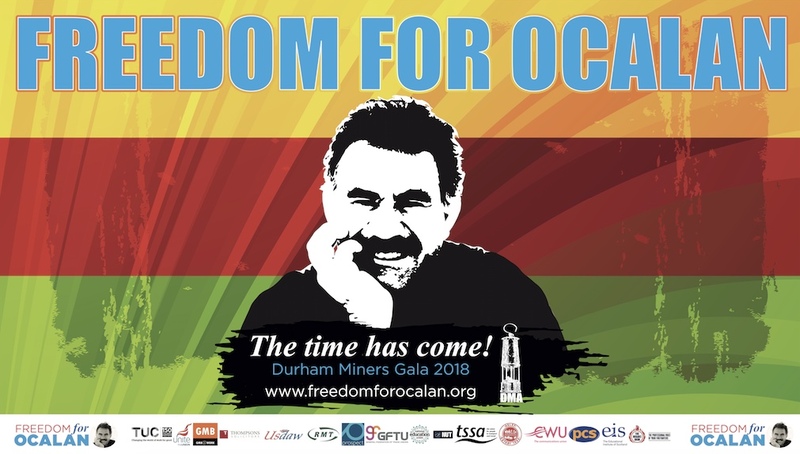 In this regard, let’s remind ourselves that the CIA and Israel’s Mossad were the key players behind the illegal detention of Abdulla Ocalan from Kenya – a man who is still languishing in a Turkish prison today. It’s high time for the Kurdish people to realise the fact that US is a wolf in sheep’s clothing. Historically, hypocrisy and betrayal has been the very nature of imperialism. There is a great need to study and understand how Capitalism evolved into imperialism, which led to two World Wars, causing millions of deaths and unimaginable destruction on this planet, just for the sake of the super profits of the multinational corporations. It would be appropriate to note here that Lenin’s ‘Imperialism –the Highest stage of Capitalism’, would be a useful tool to understand the current duplicity and hypocrisy of the US in northern Syria. In this context, we would like to highlight the fact that the current Turkish invasion, (in particular), and the ongoing wars in the Arab world, (in general), need to be understood from a global economics point of view. As the current global capitalist economic crisis that started in 2008 deepens, the imperialist powers in subtle collusion with its regional puppet regimes, are transferring the burden of their own crisis onto the people of the underdeveloped countries, where there is an abundance of natural resources and cheap labour. Imperialist powers are using IMF, the World Bank and the WTO as their powerful tools. This transfer of burden has been happening under the fancy names of ‘globalisation’ and ‘liberalisation’. This is having a crippling effect on the economies of the underdeveloped countries, causing severe inflation, extended mass poverty, hunger, famine, displacement of people from their farmlands and ecological destruction. When the imperialist powers are unable to get their imperialist agenda implemented, they resort to orchestrating regime changes and military coups. They also sow internal discord, by encouraging internal colonisation of areas of weaker nationalities and tribes by the regimes of the dominant nationalities within a country. Where these tactics do not work, they resort to occupation of the countries by either directly invading them or letting their regional puppet regimes do the dirty work for them. The most recent examples of such dirty tactics of the imperialist powers are the ongoing Syrian war, the war in Yemen and the current Turkish invasion of northern Syria. However, the peoples of the affected countries and nationalities around the world are not sitting back. They are resisting the aggressions of the imperialist powers and the dominant nationalities by various means. The struggles of various nationalities for their right to self-determination such as those of the Kurdish people should be seen as part of such resistance. The working class of many countries of the underdeveloped world, joining hands with the poor peasant class of their countries, are fighting against the existing semi-feudal and semi-colonial regimes with the aim of establishing New Democracies (and Socialism at a later stage). Realising the fact that imperialism and regional expansionism are ‘paper tigers’, the Kurdish people of Syria, Turkey, Iraq and Iran must urgently join forces for a united front with the working class and poor peasant class of various countries and nationalities. This must also happen with the struggles for self-determination of the oppressed nationalities such as the Palestinians, the Kashmiris, the Balochs, the Sri Lankan Tamils, the Chechens of Russia, the Nagas and Manipuris of India, the Karens, Kachens and Rohingyas of Burma to name but a few. It would again be appropriate to note here that Lenin’s ’The Right of Nations to Self-Determination’ provides the ideological base for the concept of self-determination. Stop the Turkish invasion of Afrin and other Kurdish areas of Norther Syria! Long Live the Kurdish resistance to Turkish oppression and invasion! Long Live the Right to self-determination of Kurdish people! Freedom to Abdulla Ocalan and all political prisoners in Turkey and Syria! Death to US imperialism and its Turkish puppet regime! Long live the unity of the oppressed nationalities of all countries! Long live the unity of workers and poor peasants of all countries!